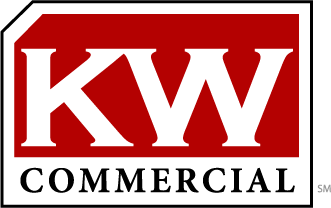 Jay Coates, a Keller Williams commercial agent, is a graduate of Stephen F. Austin State University in Nacogdoches, Texas. After graduation, Coates spent a year as a financial advisor at Waddell & Reed, Inc., and then worked as an analyst at Capital Asset Recovery, LLC, an auto finance company specializing in bankrupt auto debt. After CAR, LLC changed hands, Coates and a friend Started Cobar LLC in Dallas, TX. While in Fort Worth, Coates and COBAR LLC invested in a restaurant startup. Coates also became an Action Ambassador for the Fort Worth Chamber of Commerce, was involved in the business networking group Cowtown Leads, and was a founder/consultant for a neighborhood action group. Coates and his young family moved to Little Rock in January of 2017, and he signed on with Keller Williams Realty’s Commercial division in April of 2017. He is dedicated, determined and provides valuable service to his clients. Jay Coates CRE specialties include restaurant site development, multi-unit housing sales, and land and acreage.